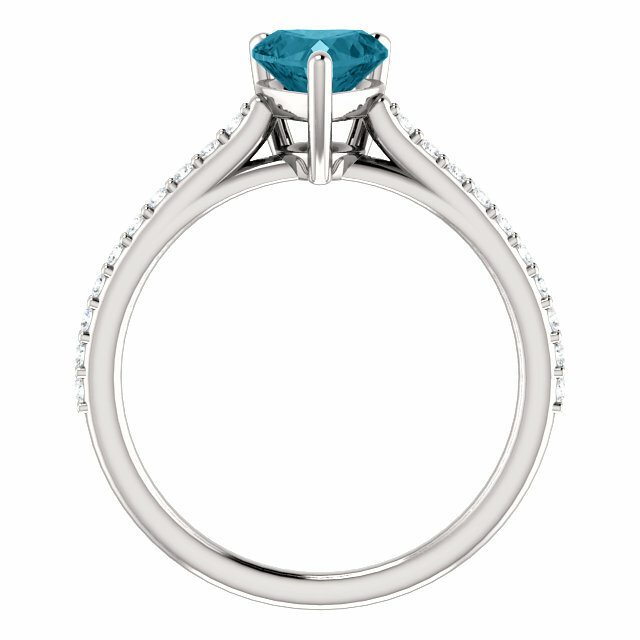 London-blue topaz is famous for being a darker, almost electric blue, which is perfect for making a statement. 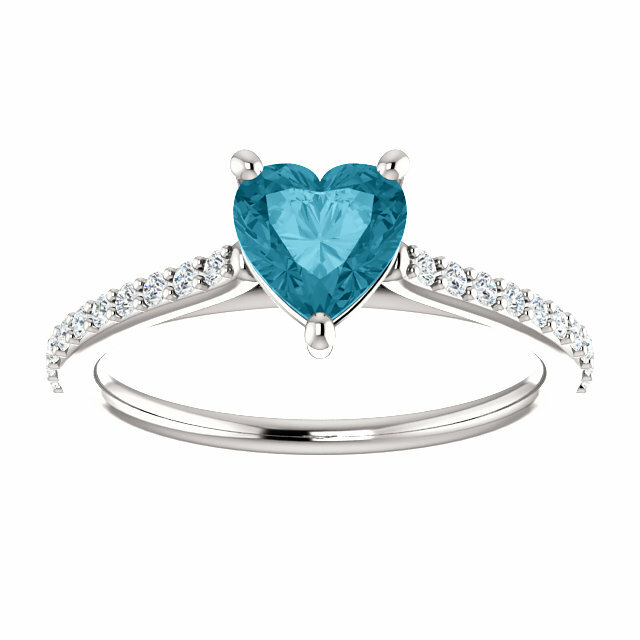 This heart-shaped London blue topaz and diamond ring, from Apples of Gold Jewelry, is offered to you in 10K, 14K, 18K white gold or platinum, and creates a look that is great for all seasons, holidays, and occasions. 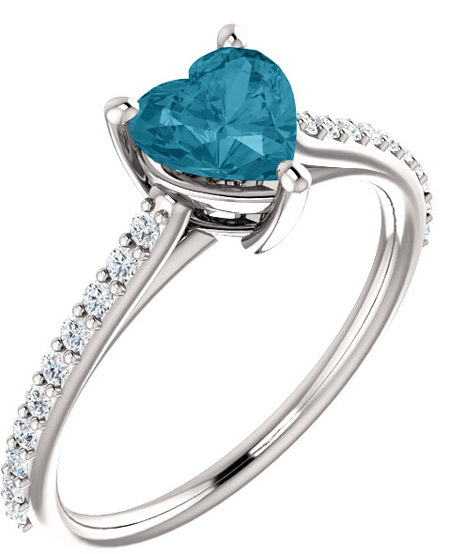 The authentic AA rated 6mm x 6mm London blue topaz gemstone is heart shaped and beautiful! Adding even more beauty to the ring are the diamonds that line the band, totalling 1/5 carats (0.20 carats) and rated H-I for color quality and SI for clarity. We guarantee our Heart-Shaped Stone-Blue London Topaz Diamond Ring in White Gold to be high quality, authentic jewelry, as described above.